This is an overview of some important considerations you may need to make when thinking about a vehicle for your business. About half of new vehicles are company cars according to experts. It’s worth doing research before you make the decision. Consult government resources offering facts and figures for businesses with company car ownership before deciding whether having a company car is right for your business. Buying or leasing a vehicle for your business needn’t be too costly; businesses are able to deduct tax as a business expense even if used for personal transport. Getting a loan for your car is a simple process; providers like Everyday Loans can provide the finance even when you don’t have desirable credit. Who Owns The Business Car? One question that many business owners ask regarding the purchase of business cars is this one. Who should own the business car? Both the business and the employee can have ownership of the car. Either decision determines what expenses are tax deductible. Business ownership of company cars is beneficial because you can deduct depreciation expenses and general maintenance expenses. 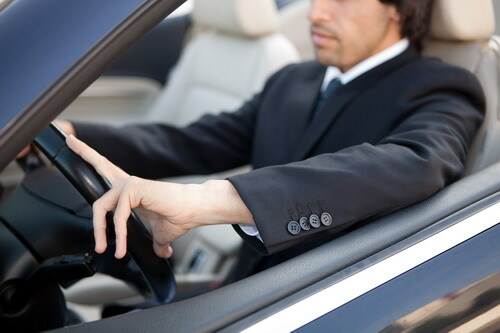 However, employee ownership of business cars is also beneficial to your employees, and it takes away the need for documentation of every employee ride. Determine which form of company car ownership is best for your business. Taxable business expenses come along with business cars, whether you use them for a courier service business or executive business travel. It is important to remember however, that if you want to claim business car value as 1099 income, you cannot use it for personal use. Otherwise, you can just use your personal vehicle for business use. This allows you to track business related mileage and account for the monetary value per mile for tax purposes at year-end. Keep this in mind when deciding whether or not your business needs corporate cars for employees or management use. If you have a small business, getting your name out there in the local community using a branded company car is an excellent way to build up brand awareness among people in your area. It is not enough to create your own t shirt. You can use your car as eye-catching advertising space using custom decals. Putting contacts like email, website, phone and social media handles on your car is a low-effort method of spreading brand awareness and gaining a following. Some businesses include interactive features such as a QR code where they can obtain exclusive offers. It depends what sort of enterprise you’re running when considering a vehicle for work purposes; personal commuting, deliveries, storage space and advertising are all uses that can be combined with the right vehicle. Think about fuel consumption and environmental impact when choosing a type of vehicle to be your company car. Also, be sure you do not need to secure alternative lending to fund the car, it should be within your business budget. If you’re an organization that has environmental priorities, a hybrid could be worth considering. Having access to a company car is a perk of the job for an employee, and sometimes just necessary for business. Again, tax can be deducted, therefore a financial incentive for an employee with high mileage, as well as the company benefiting from their brand being represented if used for ad space. When a company car is offered as part of a job, it can be very motivating for applicants, thus furnishing the company with keen prospective employees. The government as well as manufacturers are making it much easier to go about finding a decent car for your tax band – this is due to the push to become more environmentally friendly in terms of emissions. This really opens up your options in choosing a car for your business. But it is still important to consider your purchase prior to taking the plunge. There are no quick wins when it comes to company car shopping.